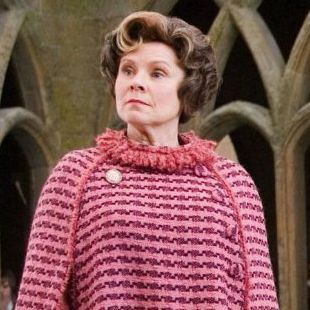 Rowling also fills in a plot hole that has always bothered us: Why does Umbridge end up on Voldemort’s side in Deathly Hallows? When the Ministry was taken over by the puppet Minister Pius Thicknesse, and infiltrated by the Dark Lord’s followers, Dolores was in her true element at last. Correctly judged, by senior Death Eaters, to have much more in common with them than she ever had with Albus Dumbledore, she not only retained her post but was given extra authority, becoming Head of the Muggle-born Registration Commission, which was in effect a kangaroo court that imprisoned all Muggle-borns on the basis that they had ‘stolen’ their wands and their magic.